Since the initial community release of SFGuru Explorer on 25-10-2014 we (Daniel Nikolic / Rink Spies) have been busy developing the application. 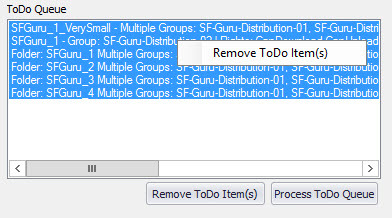 Every time when we detect repeating, or labor intensive tasks within our ShareFile support team we try to improve the job by integrating an optimized task in SFGuru Explorer. Currently we have lots of ideas and beta versions which we need to do some further testing on, but before releasing these features we want to be 100% sure everything runs stable. While all the coding and testing needs to be done in our spare time it could take some time before we can release all new features. Meanwhile we made some great improvements, which have been fully tested. Improvements of which we are proud of 🙂 We decided to add all the tested features to a interim release, which will be released as SFGuru Explorer version 1.2! Sometimes you need to make multiple changes on a single or several folders at once, previously you had to do this change by change. We added a processing queue to SFGuru Explorer in which you store all your changes. Everytime a job is added to the queue it is checked and when possible combined with existing jobs so that in the end a fully optimized job can be applied to your ShareFile environment. 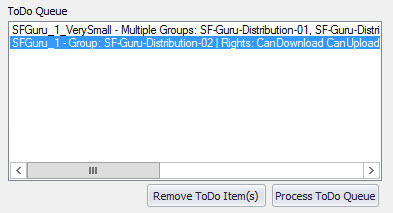 In case you not only need to add/modify distribution groups, but also need to make sure existing legacy distribution groups are removed use the “Force inherit of Rights” feature. 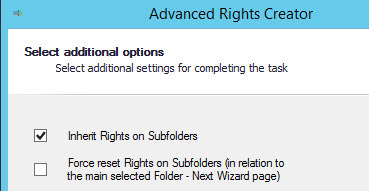 Force Inherit of Rights is available from the Create/Update Access Rights of multi select window. Depending on the size of you ShareFile environment it could take awhile to retrieve all Employees, Clients or groups. Sometimes it wasn’t clear if the job finished or was waiting for the ShareFile API response, so we added a finished box to notify you soon as the jobs succeeds. Soon as SFGuru Explorer starts processing a job the status overview windows is opened. By default the windows is kept opened when the job is finished, but this behavior can be changed. If desired you can select “Autoclose the status window” in Tools > Options. The status overview windows will display all processed items and job outcome. If you close it by accident or want to lookup a previous change the window can be opened through View > Status overview. 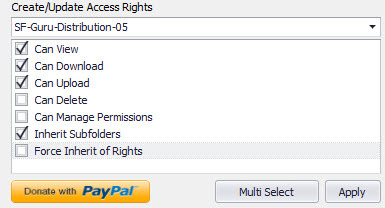 If desired you can disable auto scroll or export the status windows to a .xls file. If you like the features and saved yourself lots of stress and time managing your ShareFile account….. Please don’t hesitate to hit the “Donate with PayPal” icon! 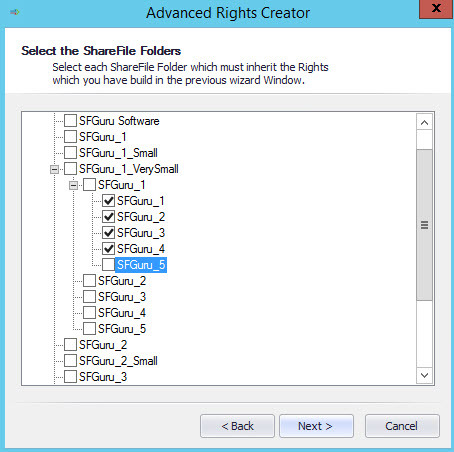 In case you have features that could add value to SFGuru Explorer and improve your ShareFile management, please let us know ! We’ll see what we can do. 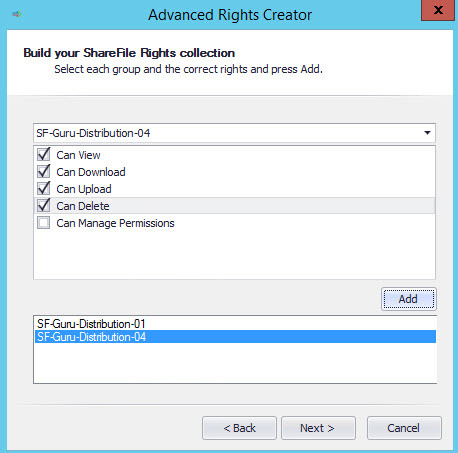 SFGuru Explorer version 1.2 is now available for download at SF-Guru.com, get you copy today!